With many incoming students being among the initial wave of Generation Z into the university scene, they’re also making their way into the professional sports scene. Here are five Gen Z athletes to keep an eye on in the years to come. Born April 13th, 2000, in Trollhättan, Sweden. 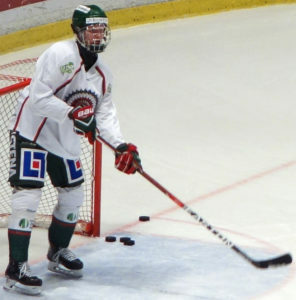 Rasmus Dahlin was chosen first overall in last June’s NHL Draft. He projects to be an elite defender for the Sabres because he is excellent at everything. Dahlin is a smooth skater, with fantastic stickhandling ability, and a great shot. He also plays a sound defensive game and is extremely smart which is rare for a young defenseman. He is ultra-competitive with a mean streak and uses his 6’2 180-pound frame to deliver serious checks. There is no weakness to his game. Born June 14, 2000, in Mississauga, Ontario. 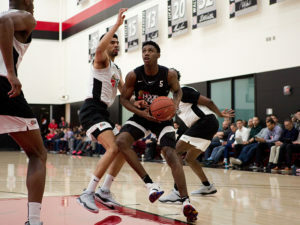 There is a good possibility R.J. Barrett will be the first pick in the 2019 NBA draft. His breakout performance occurred in the 2017 U19 World Cup. He led Canada to a gold medal and scored 38 points in the semi-final against the United States. He won the tournament MVP award, and most of his competition was a year older than him. Barrett is a 6’7 wing. He scores by driving to the basket and using his ball handling ability and long strides to get to the basket and find ways to score. He is also solid defensively. He’s a safe bet to be at least an above average player in the NBA. Born April 23, 2000, in Long Beach, California. 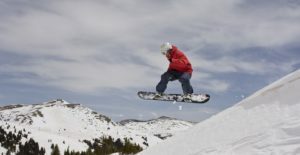 Kim won an Olympic Gold medal in the half-pipe competition in the past Olympic Games at the age of 17. Not only did she win the gold, but she did so while pulling off two back-to-back 1080s, which is a first for women’s snowboarding. Quickly after that she was featured on Time Magazine’s 100 Most influential people in 2018 and won Best Female Athlete award at the 2018 ESPYS. She’s already won four X Games Gold Medals, and finished on the podium seven times at the World Cup. She’s a name to remember. Born Feb. 28, 2000, in Vercelli, Italy. Kean is a dynamic forward who should be a scoring force in the future. He has quick feet, excellent ball handling and lots of speed and a scoring touch. 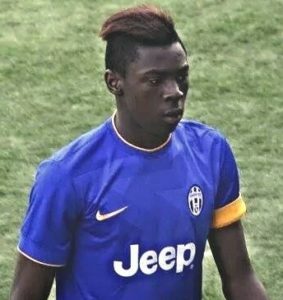 He currently plays for Italy’s best club team, Juventus FC. His stats with Juventus are not eye-popping with five goals in 22 games. However, most players don’t become stars until their early twenties. In Italy’s U-17 league he scored 24 goals in 32 matches, which gives a better idea on what he can do on the pitch in a few years. Born June 13th, 2000, in Toronto, Ontario. It’d be hard to find a Canadian who didn’t hear of Oleksiak’s performance at the 2016 Rio Olympic Games. 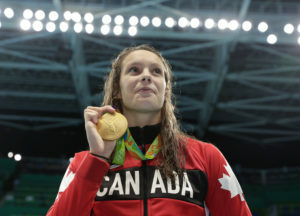 She won gold in the 100-metre freestyle event and silver in the 100m butterfly. She also anchored Canada’s 4×100-metre and 4X200-metre relay teams to bronze medals. Oleksiak and teammate Taylor Ruck were the first people born in the 21st century to win an Olympic medal. Outside of the Olympics, she also set a world junior record in the 4X200-metre free relay event and anchored Canada’s 4X100-metre mixed freestyle and mixed medley relay World Championship teams to a bronze medal. She’s battled a few injuries since the Olympics, but if she can get back to form, she should be a force for Canada.